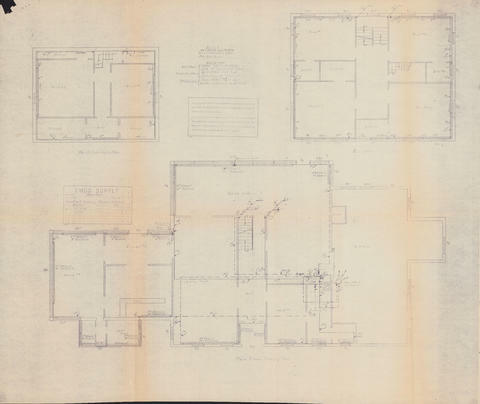 Item is a drawing of heating plans for the Sword and Anchor Inn in Chester, Nova Scotia. The plans include floor plans of the main, second, and third floors. The drawing was produced by Emco Supply from Halifax, Nova Scotia.